Ms. Olivia Lauderdale Wilkerson was born the baby girl of eight children to the late Andrew Lauderdale and Annie B. Moon Lauderdale on May 7, 1932 in Clay County, Alabama. Ms. Wilkerson was baptized and gave her life to Christ at the age of twelve years old. After high school, Olivia met and join in Holy Matrimony to Ed Davis, Jr. of Alexander City, Alabama. To the union seven children were born. Later in life Ms. Wilkerson met and join in Holy Matrimony to Edmond Wilkerson of Birmingham, Alabama. He preceded her in death, December 2003. 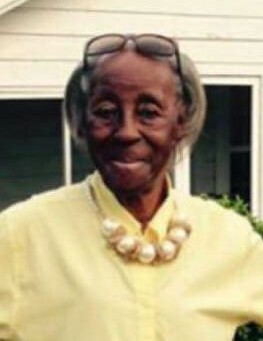 Begin a active member of Pleasant Home Baptist Church, Ms. Olivia was part of several singing groups, where she was given the nickname “Love” always greeting fellow members with a heart warming smile. She was preceded in death by her parents, two children, Napoleon Davis, and Valorie Davis; and other close relatives. On August 21, 2018 Ms. Olivia L. Wilkerson answered the masters called and departed her walk of life, at her resident, Goodwater, Alabama. The precious memories of this priceless gift from GOD will live forever in the hearts of her loving children, Andy Lee Davis (Martha), Everlena D. Fleming (Charles), Denise Davis (Willie Gamble), Sylvia G. Meadows (Claude), and Travis Davis (Ruby); twenty-seven grandchildren, a host of great grandchildren, nieces, nephews, other relatives and friends.